Radiqx Press is accepting manuscripts! Actually, I have been doing this without any fanfare for quite a while. Normally I publish authors who want my technical skills, as work-for-hire. They pay me to do the work. I’ll continue to do that and you can start the process for that over on The Skilled Workman. That is the home of Bergsland Design which produces technical training books in font design, typography, and book design. It also is a graphic design studio producing fonts and book production for other self-publishing authors. I will also produce formatted books for people who wish to buy their own ISBNs and use Lightning source, and so on. However, I have started doing full-service publishing for those authors who simply do not want to deal with anything but the writing. I will only work with Christian authors, and acceptance is not guaranteed. That is why I am not making this offer in The Skilled Workman. Its services are available to the general public. Reality Calling is Christian-only, working with committed believers who have a call on their life to write for the Lord. I am only accepting Christian authors with finished manuscripts. At this time I am not offering developmental editing, but that may change. I do have an editor I recommend for that, but you need to have that process completed before you submit your manuscript to me. The publishing package does include minor copyediting and proofing, as well as the rest of the publishing process. I format your book and release it in print, ePUB [iBooks, Kobo, Nook, Scribd, and more], and Kindle. I do have a narrator for audio books, but he only accepts books he feels led to read. I base this spiritual level on our Spiritual Rating System. I have no problem with books at three-stars or less, but I will not publish them unless I have a close relationship with the author. 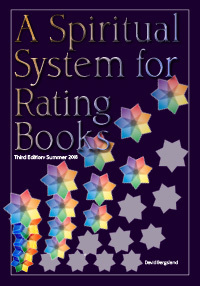 Generally, acceptable books must be at four-star level or better spiritually. I am a spirit-filled publisher with no denominational ties. So, I will only accept books I believe the Lord has told me to publish. I will not argue with anyone. Acceptance is a yes/no proposition after I have read it, and Patricia and I have prayed about it. I may make suggested revisions with no guarantee of acceptance. Radiqx Press is accepting manuscripts: Christian non-fiction and speculative fiction manuscripts—but only after I have read them. I don’t do horror, mysteries, or most thrillers. I will do romance, but I won’t put up with the emotional flailing about—which is so common. Romances must have a compelling story to tell beyond the two persons in relationship. Ask first, if you have any doubts. Use the contact form below. Radiqx Press pays the author from 40%-65% of net income, depending upon the state of the manuscript. If you are interested, fill out the submission form below.